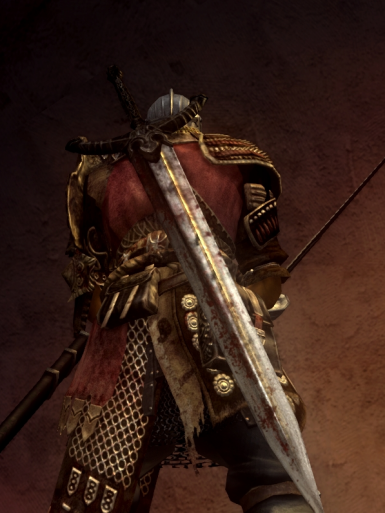 Thematic specular (reflective) textures for the Black Knight Sword. These are mediocrely done hue/saturation/brightness/contrast changes done in one sitting. You can use these as a base for other productions if you want, but it might be cleaner to start with the source texture from the game. 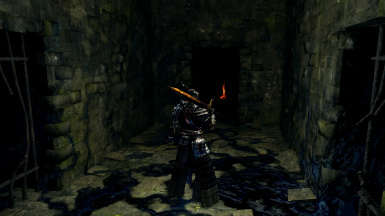 You can publish it on the Dark Souls 3 Nexus if you manage to get texture replacing working again. 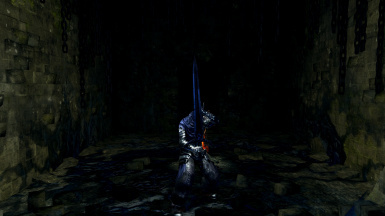 I hijacked Gamesell's Black Knight Sword COLORFULL textures and turned the diffuse texture (the actual color on the model) into the specular (the reflections) and did some basic color editing. 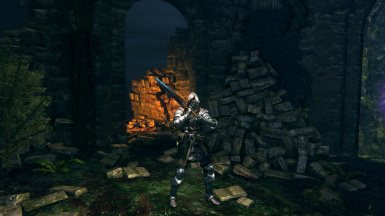 Speculars have an interesting effect of only lightly giving an item color while not wholly changing it. 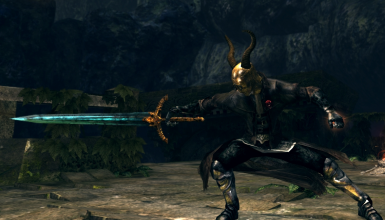 This is similar to my other texture mod, Cosmos MLGS Skins, except less prophetic of Ludwig's Holy Blade and less intrusive against the original Black Knight Sword's design. Because these are only specular textures, these textures are compatible with the diffuses of other textures! Try mixing and matching textures from the other mods available. The Black Knights are no strangers to fire; from their inception with the strength of the flame, to the battling of the Chaos Demons, to the inferno that incinerated them, fire burns in their mind as it burned their entire lives. 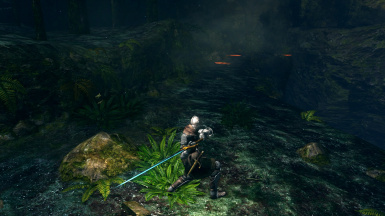 The orange light of fire emanating from the blade seems to be branded into the weapon itself. 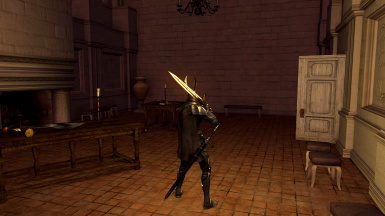 The Black Knights were not always as they are. 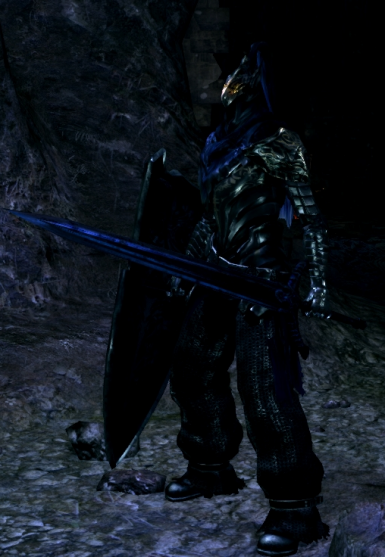 They were once Silver Knights, their armor having been charred and burned by Chaos Demons. 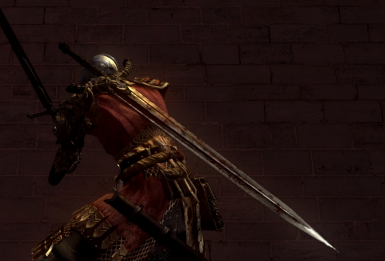 Their long lost home of Anor Londo only seems more resplendent when they know they can never return. 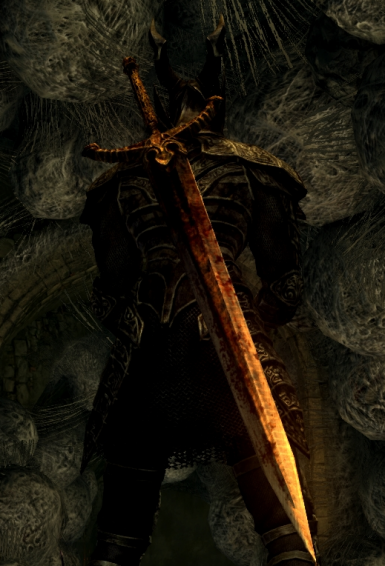 The memory of the purity they once had sits strongly within the sword, giving it a milky white gleam. 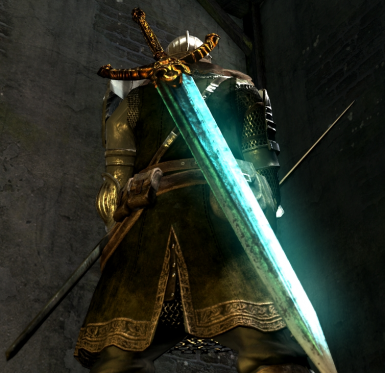 Few of the Lord of Sunlight's knights associated themselves with the moon, but having served to protect Gwyn, his family, and his compatriots, those few came to know Gwyndolin and Seathe the Scaleless well. 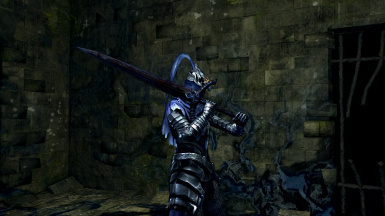 The thought of light in the darkness to guide them has led to to the cyan moonlight glimmering to take hold of their blade. 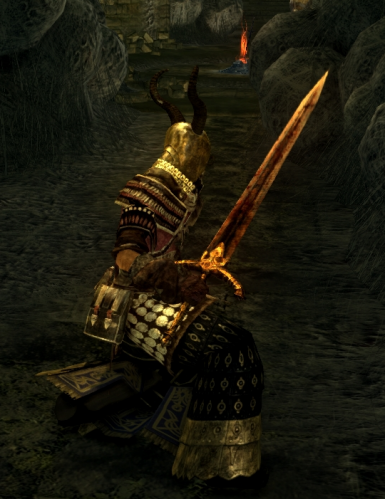 A fear of the dark had an iron grip on all of Gwyn's Knights, big or small, but only a few had the courage to face it. 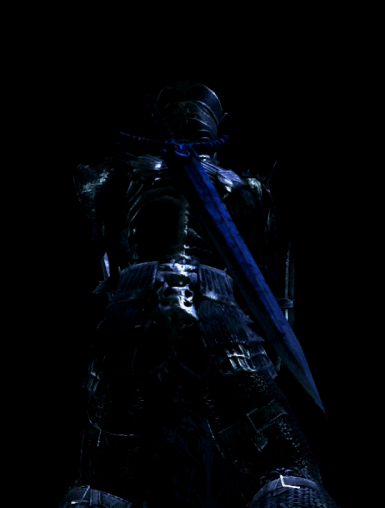 Artorias was an icon of Gwyn's Knights, Silver or Black. Even if the dark did take him, it was inspiring. Even if the dark was insurmountable, it was a privilege to face it. Only the faintest of navy blue hues comes from the metal, in reverie of their companion. As with every other texture mod, extract the single specular texture of your choice into the tex_override provided by DSFix.